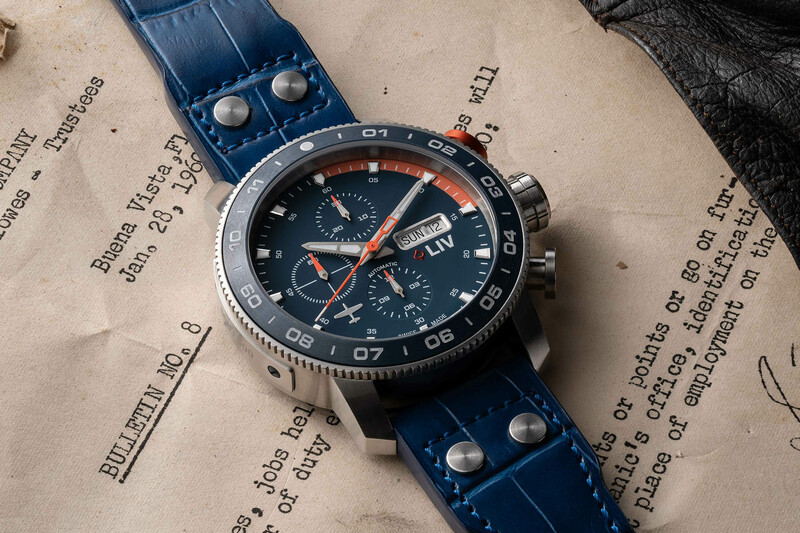 Attractive, affordable and resilient dive watches by Marnaut take the plunge on Kickstarter. 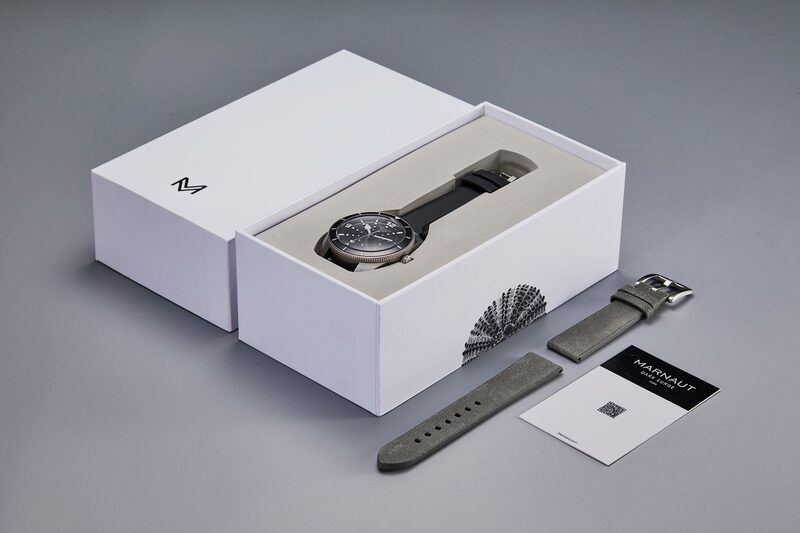 It seems like a new watch launches on Kickstarter every week. Many fall into the USD 400 to 600 range, at least for early buyers, but some far exceed USD 1,000. 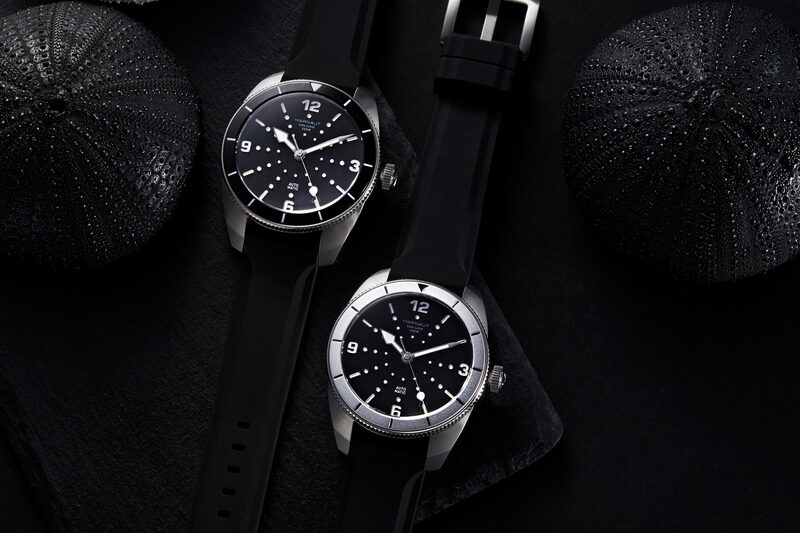 The Marnaut Dark Surge 300m dive watches fall into the former category, providing deep sea water-resistance in an attractive, accessible package. 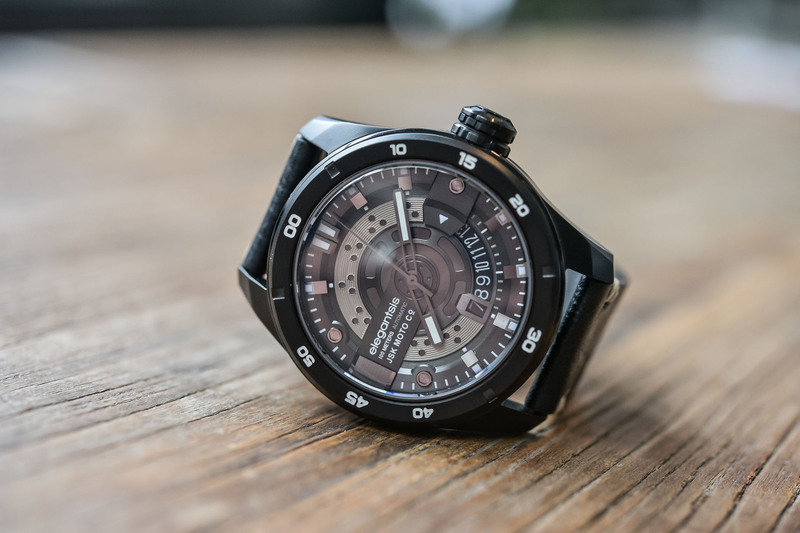 There’s nothing groundbreaking at first glance, but the attention to detail is impressive for the price and a 300m maximum depth will appeal to serious divers, not just recreational enthusiasts. 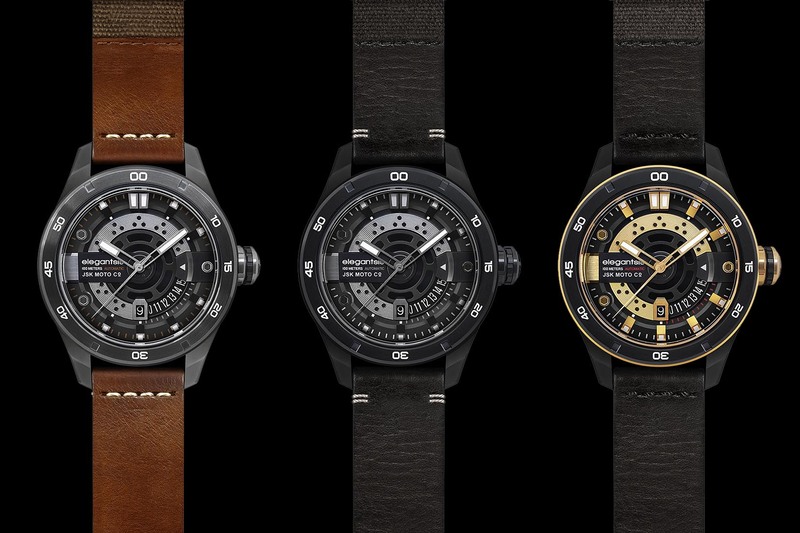 The founder of Marnaut, Mario Jutronic, has been conceptualising the new watches for the last three years, although the company itself is new for 2018. The three watches are identical other than variations in exterior colour. 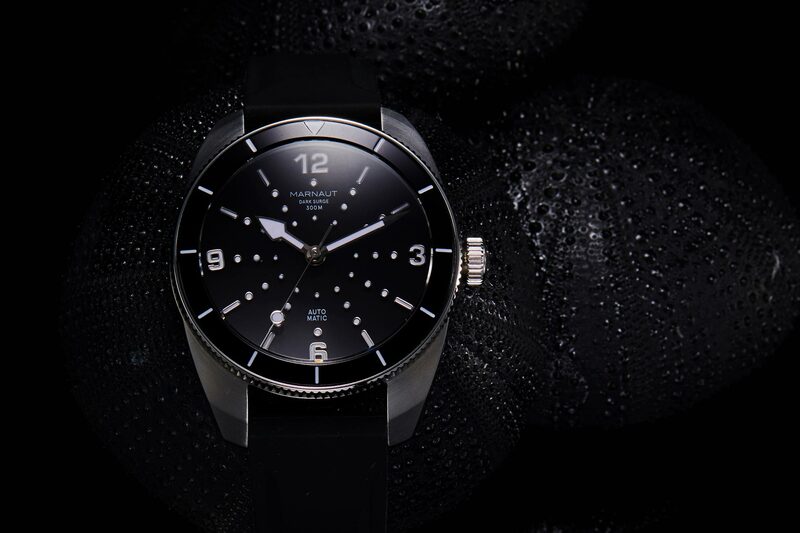 The stainless steel case is a very wearable 42mm in diameter and 13mm in height. Two models are completely brushed and the third is ion-plated in black. There isn’t a crown guard on any model, but given that the crown is securely screwed down with double O-rings, it should be resilient in just about any circumstance. Marnaut’s logo is stamped on the crown’s end. 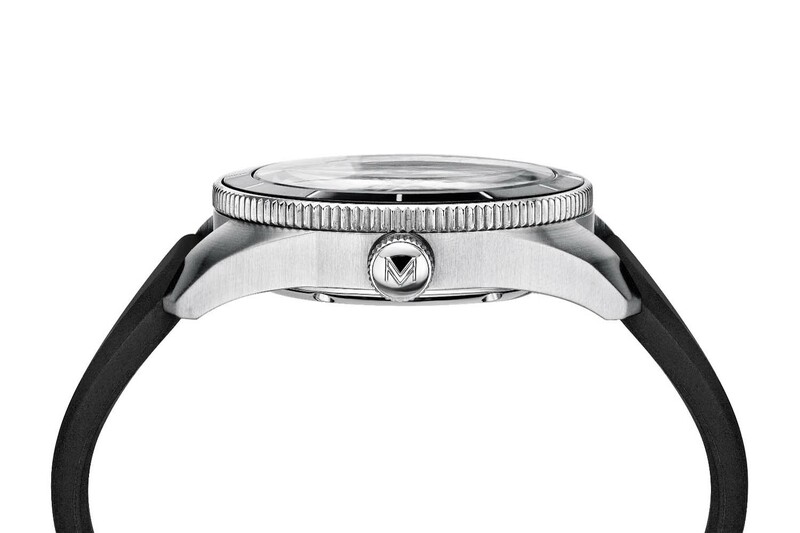 The screw-down caseback is steel and the dial is protected by a domed sapphire crystal. The serial number on the case back pairs to a QR code on the authenticity card, creating a two-factor verification system. Scanning the QR code with a smartphone will confirm the serial number on an individual watch. The dials were inspired by the texture and symmetry of sea urchin shells. Jutronic is Croatian and spent much of his childhood snorkelling in the Adriatic Sea looking for sea urchins. Their unique shape and design left an indelible impression. Each dial has 46 metal indices with 34 circular ones spread out in a “sea urchin” pattern, reaching each five-minute marker. It’s an interesting but not overly complex design. 12, 3, 6 and 9 numerals are in place, and every index is coated with Super-LumiNova. The hour, minute and lollipop seconds hands also have lume. The dials are the same on all three models, but the bezels differ on two. There’s a silver anodized aluminium bezel on a brushed steel case with simple five-minute markers and an inverted triangle at 12 o’clock. Curiously, the silver bezel does not have lume. 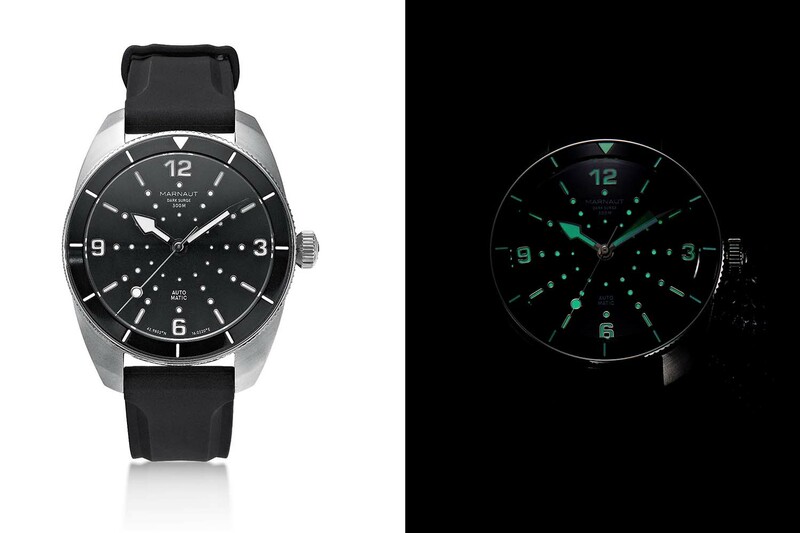 The other two models have a black anodized aluminium bezel with Super-LumiNova on all markers. All three bezels are unidirectional with 120 clicks for a full rotation. The beating heart of the series is a Miyota calibre 9015 automatic. Introduced in 2009, it’s an inexpensive, easily attainable and reliable workhorse from Japan. It has 24 jewels, beats at 28,800vph (4Hz), has hours, minutes, central seconds (hacking) and a date complication (which isn’t used on the Marnaut divers), and a 42-hour power reserve. The lug width is 20mm and each model comes with two straps, one silicone and one distressed Italian leather. 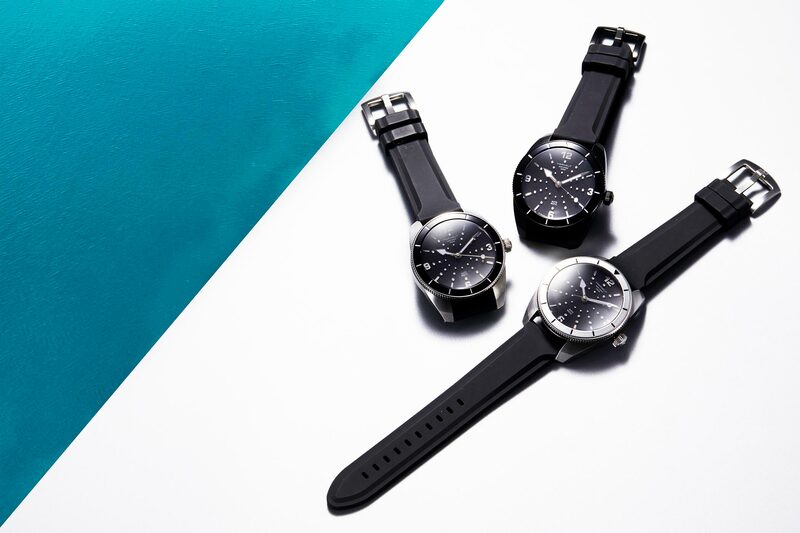 The black silicone strap comes with all the watches, but the model with a silver bezel has a cream leather strap, the silver with black bezel has a grey leather strap and the black plated model has a black leather strap. Just be sure to stick with silicone when diving. 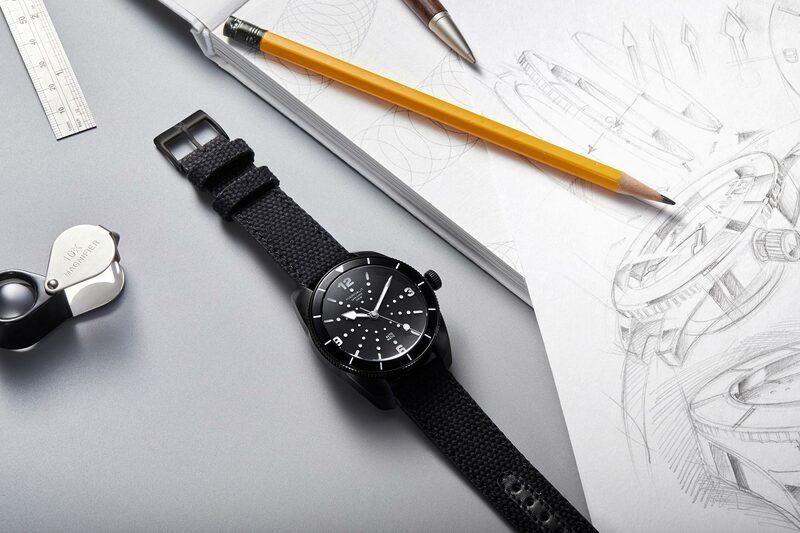 Each model is limited to 300 pieces for the first year and early backers on Kickstarter can purchase the two brushed steel models for USD 449 (retail price of USD 619) and the black plated model for USD 499 (retail price of USD 649). Estimated delivery of the watches is January 2019. Wanna get a taste of Marnaut, check out their Instagram page here. Interested in buying one? “Not a bad watch as a whole but wouldn’t personally prefer it on my wrist. Not with all those symmetrically urchin-like positioned spots unnecessarily cluttering the dial and taking away from its intended simplicity. I would also question stated 300m water resistance with the 6-screw case-back application. Price is great, so is the choice of mov’t. Please stop calling 42mm as being “very wearable”. Not bad watch as a whole but wouldn’t personally prefer it on my wrist. Not with all those symmetrically urchin-like positioned spots unnecessarily cluttering the dial and taking away from its intended simplicity.